Former President of Nigeria Olusegun Obasanjo, changed history during the Kwita Izina – the annual gorilla naming ceremony in Rwanda, when he named a baby gorilla after his middle name. At the ceremony which took place on September 7th in Kinigi, Musanze district in Northern Rwanda, Obasanjo, whose full names are Chief Olusegun Mathew Okikiola Aremu Obasanjo, named a baby gorilla his middle name; ‘Aremu’. “In my language, Aremu means every baby is useful in a family,” Obasanjo said after naming one of the 23 baby gorillas on Friday at a colorful event attended by other high profile delegates. Obasanjo, a great friend of Rwanda who has travelled to the country several times for global gatherings, said that Rwanda is making incredible strides in conservation. 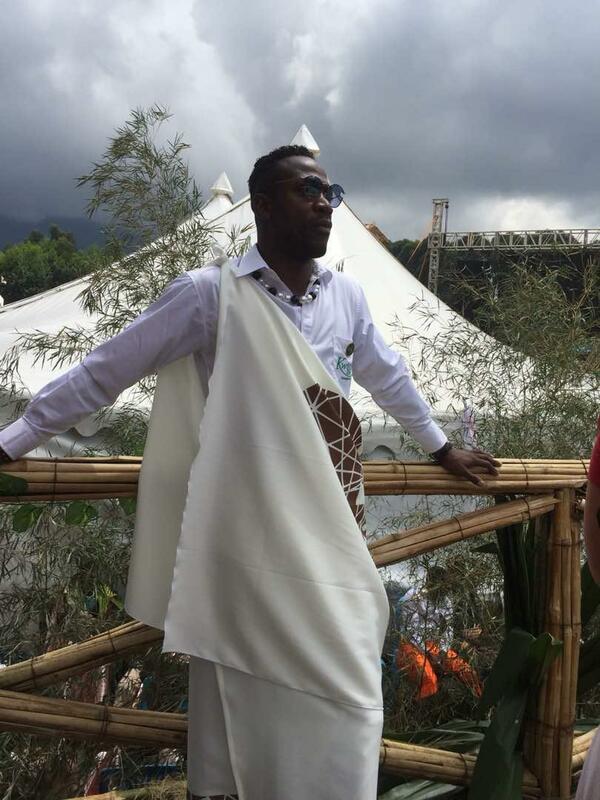 “Good people of Rwanda, I congratulate you for the unique way of conducting awareness of conservation,” he said. “By celebrating certain animals will help us to fight climate change,” he said. Other namers include renowned global personalities, Rwandan achievers from different disciplines mainly related to conservation gave the gorillas outstanding names. Sheikh Abdul Aziz Al Nuaimi, famously known as the Green Sheikh also named a baby gorilla after an emotional speech. 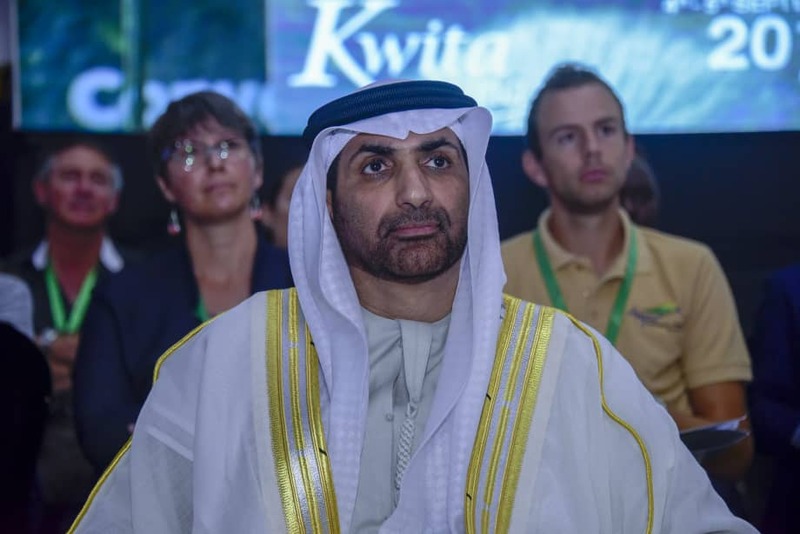 A member of the Ajman royal family in the United Arab Emirates, he has made a name for himself as one of the most resilient and vocal proponents of environment. He named a baby ‘Nayombi’. “I love the name. It comes from my spirit because it says open your heart, open your spirit for others,” the Green Sheikh said. The Green Sheikh said he has respect to the human being, regardless whom they are. 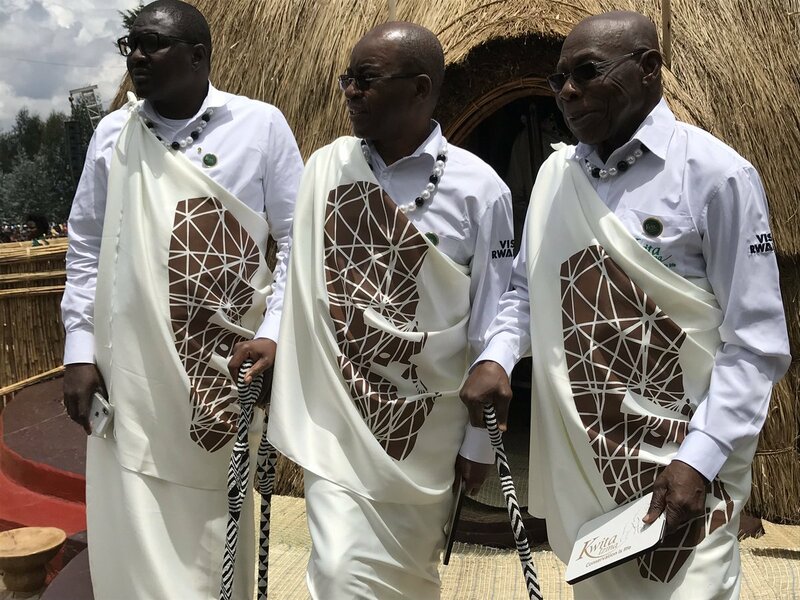 On his side, Strive Masiyiwa, founder and executive chairman of Media and Technology group Econet Wireless and Econet Media (Kwesé), named the baby gorilla ‘Ishusho’. Masiyiwa said he was doing what Adam of the bible did at the beginning of the world while naming all the animals that was given to him by God. At the naming ceremony were also two stars from English Premier League club Arsenal FC. Laureano Bisan Etamé-Mayer, the Camerounian who did wonders at Arsenal by winning, among others two Premier Leagues while he was captain of the gunners named the gorillas Ikipe, meaning Team. Etamé-Mayer was in Rwanda since early this week where he was giving Rwandan children tips to excel in football. His presence in the country is part of the VisitRwanda – a deal Rwanda signed with Arsenal in May this year, to promote Rwanda. Etamé-Mayer was accompanied with another Arsenal FC, Alexandra Virina Scott from the club’s women team. Scott made 100 appearances in the national team. She named a baby gorilla ‘Zahabu’. “I have chosen the name Zahabu meaning Gold for my baby gorilla,” she said. In his remarks, Prime Minister Edouard Ngirente thanked the esteemed international guests who attended KwitaIzina2018 for their partnership and their usual commitment to support Rwanda ‘s efforts of protecting the wildlife and Mountain Gorillas in particular. 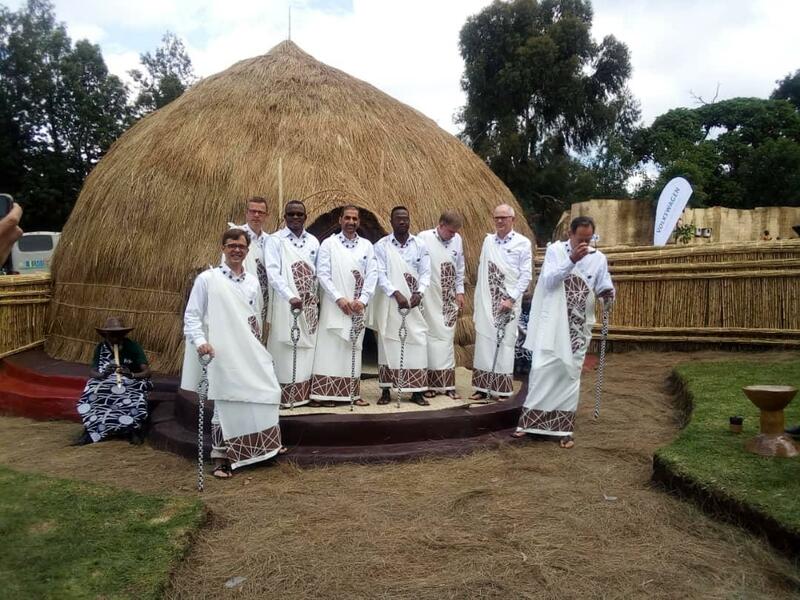 “This ceremony is not just about tourism & travel. It’s about our people. 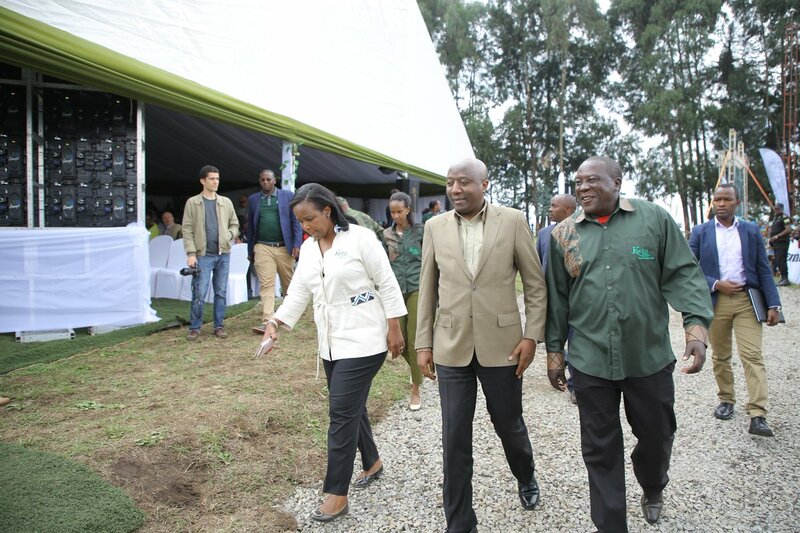 When we protect our environment & our Gorillas,we help our people to improve their wellbeing,” Ngirente said. The Prime Minister also encouraged the private investors to look at new opportunities and contribute to the diversification of tourism products.